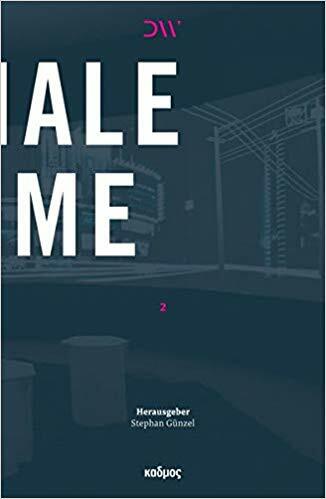 Finall y, the long awaited book “Mediale Räume” (i. e. “Media Spaces”) got published by Kadmos, edited by Stephan Günzel, which contains the audio transcription of my lecture on the Aesthetics of the Third Dimension, originally held on October 24th, 2012 in Berlin. You will find an abstract of the recently updated lecture one page backwards. The book covers also contributions by: Jenny Bauer, Thea Brejzek, Vera Doerk, Holger Dörnemann, M. Hank Häusler, Hans-Christian von Herrmann, Florian Kühnle, Kirsten Johannsen, Angela Lammert, Lauritz L. Lipp, Marie-Louise Nigg, Michael Nitsche, Patrick Rupert-Kruse, Jens Schröter and Heizo Schulz.